If I had to describe Friday night at The Commonwealth Room in three words, I’d have to say, Passionate, Energetic, and Emotional. 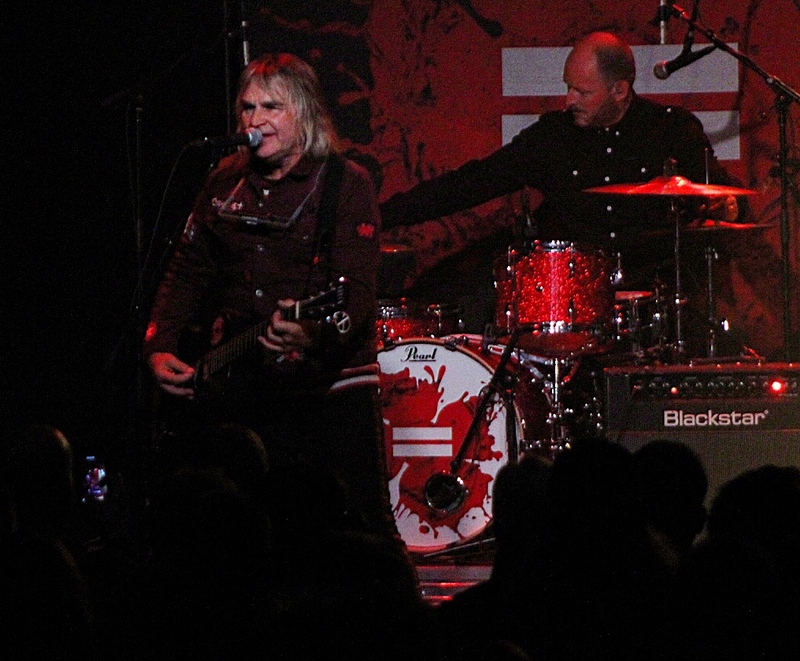 The Alarm pulled no punches in their return to Salt Lake City. I was exhausted after the show, and I didn’t even perform! 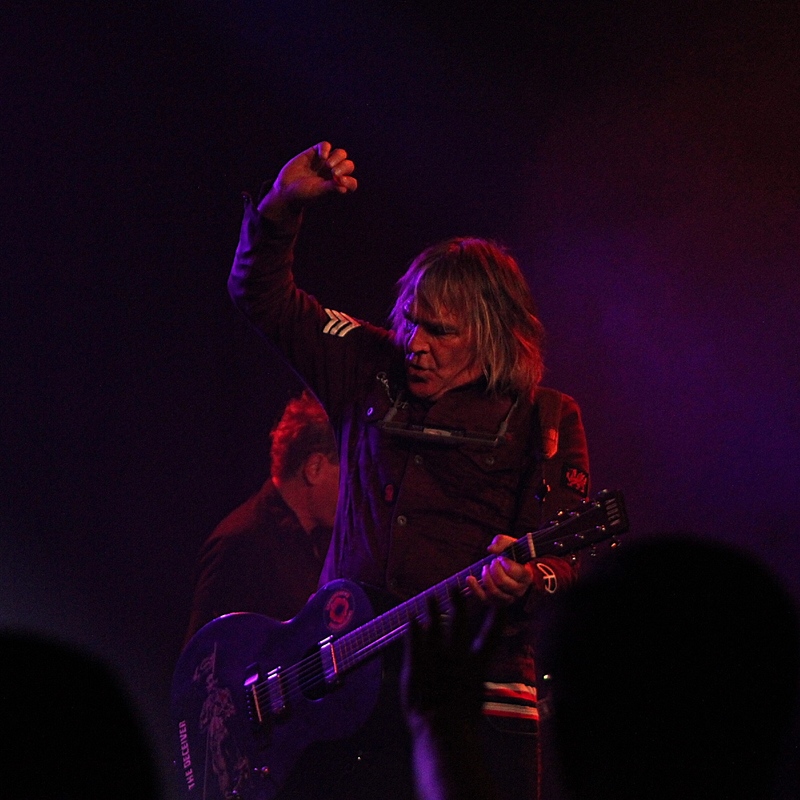 I don’t know how Mike Peters and the gang perform at that high a level night in and night out. 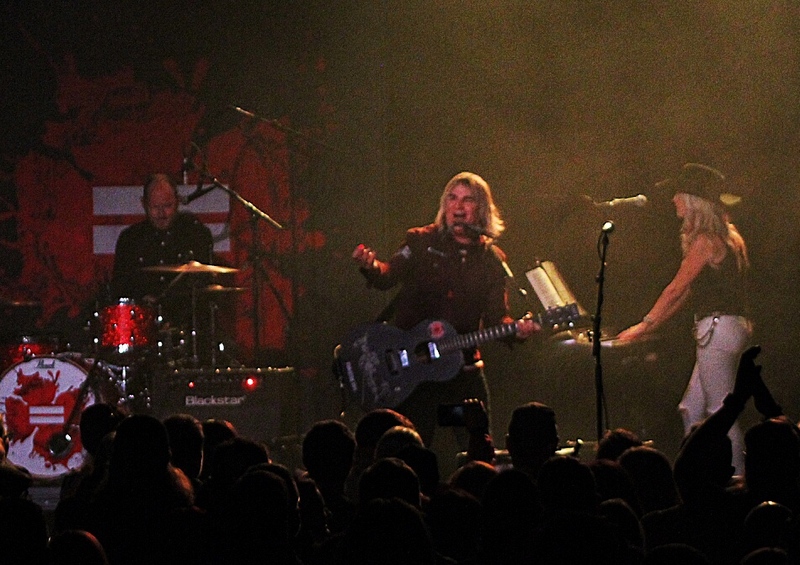 The Alarm opened their set with one of their many hit songs, “Rain in the Summertime”. It may as well have been the encore the way the crowd was roaring. They didn’t miss a beat with “Beautiful”, a song off of their latest album Equals, followed by “Strength”. I was impressed at just how well their new song fit with a couple of their classic favorites. The first thing that stood out to me was just how good the band sounded. The music was tight and Mike’s vocals were excellent. You never know what you’re going to get with a band that has been around for almost 40 years. Sometimes you’re just happy to see them and hear the songs, but you can tell they’ve lost a step. Other times, times like this for example, where they sound as good as they ever have. They looked like they were having a great time up on that stage, and it carried into the crowd. The audience was loving it! 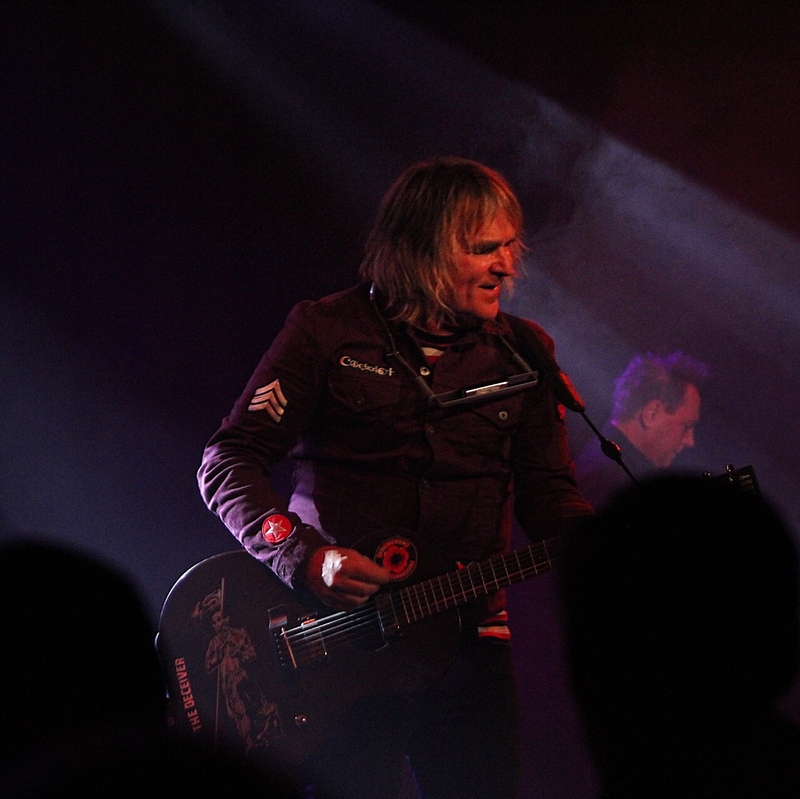 Seeing as Mike Peters is carrying the torch for The Alarm, meaning he’s the sole original member in the band now, the focus is going to be on him. How is he sounding? How is he performing? Well, I can’t emphasize enough just how fantastic Mike’s vocals were. He really knows his voice. There were times where I would know that a big note was coming up in a song. I wondered if he would go for it, or if he would have to change it. I always get nervous for singers who’ve been doing it for a while because sometimes they just can’t do it anymore. Well, I don’t know if Mike is coating his throat in formaldehyde or what, but those pipes are well preserved! Mike’s energy knows no bounds. There were three microphones placed along the stage. One on the left, one on the right, and one in the middle. Mike would sing some lyrics into one mic, then he’d run to the next one and sing the next lyric, then move to the other mic or back to the original one. I’m not sure if the pattern is laid out, or if he just goes with how he’s feeling, but it seemed that he made an even amount of stops to each mic throughout the evening. He may have gone to the one on the right a little more often because it was wireless. So he was able to pull it from the stand and walk around with it. I’m not sure how he kept this up, but he was all over that stage. The Commonwealth is an awesome venue, but it’s not huge. Mike somehow made it feel like we were in a large arena with the way he commanded the stage. Mike shared with us his relationship with Freddie Mercury, the late, legendary frontman for the band Queen. Seeing as it was the opening weekend for the Queen biopic Bohemian Rhapsody, the timing was perfect. Peters shared the story of being invited to meet Freddie at a party and was delighted to hear from Mr. Mercury that he was a fan of The Alarm. Freddie told Mike that if he ever needed anything, to call his office. He mentioned that upon recording “Spirit of ‘76” they needed a piano. He called Freddie to see if the band had one and he was actually able to buy Freddie’s old piano. So the piano you’re hearing in “Spirit of ‘76” used to be owned by Freddie Mercury. I thought that was pretty cool. Mike still owns the piano to this day. Peters then shared that he had heard that Queen would be playing, what are now known as some very historical concerts at the iconic Wembley Stadium in London. He thought about how much he’d enjoy opening for the band with The Alarm. His manager not long after told Mike that the band had been invited by Queen to open for them at these massive shows. I can’t imagine what an awesome experience that must have been. The Alarm proceeded to play “Spirit of ‘76” suggesting to the audience of The Commonwealth Room that we turn this place into Wembley Stadium. The crowd, of course, responded positively to the suggestion and when Mike said, “Let’s hear it Wembley Stadium!” the place exploded. People were cheering, dancing, and singing along as if it was 1986 in Wembley Stadium. As I mentioned, the night was an emotional one. And the emotions ranged from excitement, and happiness, to poignant and inspirational. The general feeling of the night was one of happiness. 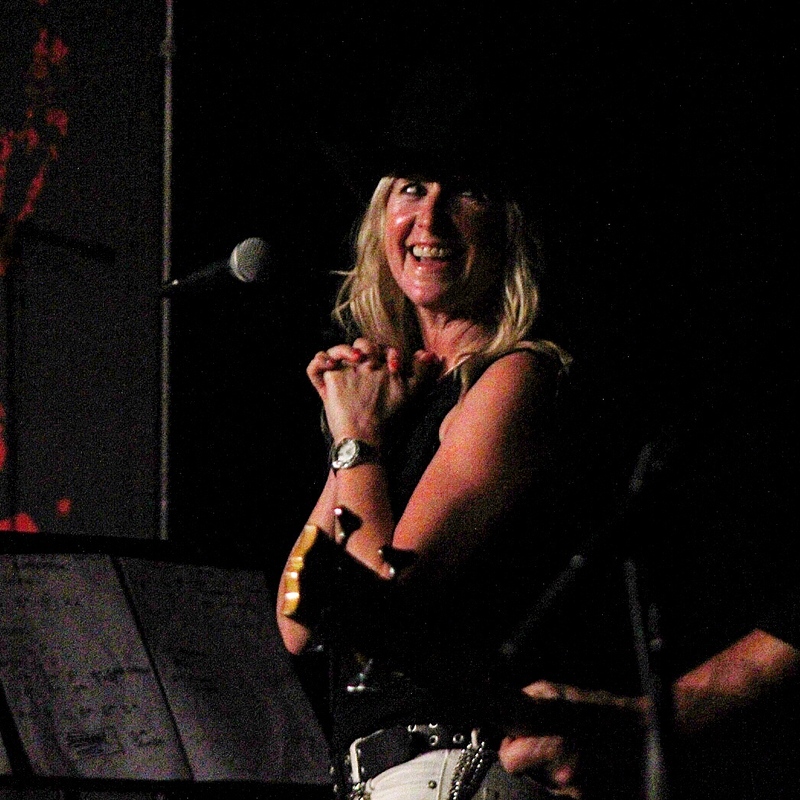 In fact, I rarely saw Mike, his wife, and keyboardist Jules, or the rest of the band without smiles on their faces. But there were also moments in the show that were touching. 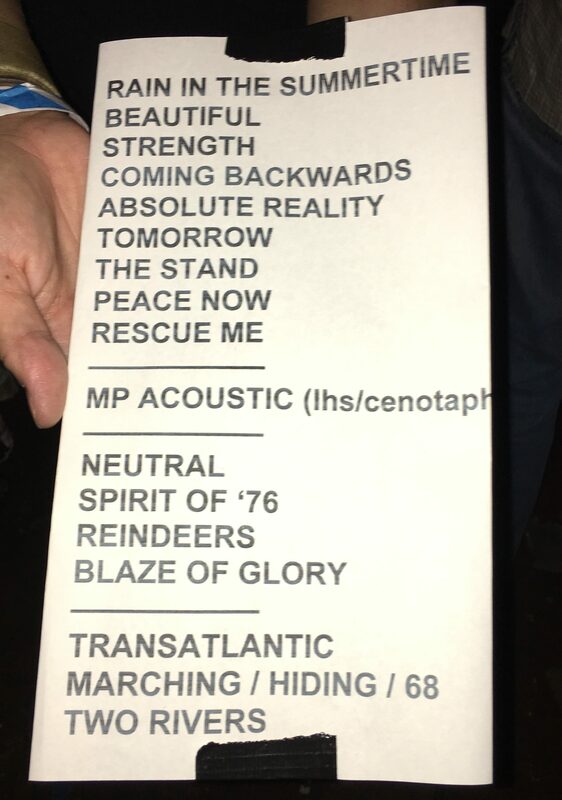 If you look at the setlist (posted below) you will see that there is a spot in the show for Mike to do a couple of solo acoustic songs. Mike’s wife Jules suggested to him that he sing “Walk Forever By My Side”. As many of you might know Mike Peters is a three-time cancer survivor. His wife Jules is a recent survivor of breast cancer. When I spoke with Mike he talked to me about his most recent fundraising trek to Zions and Bryce Canyon here in Utah for Rock the Canyons. He then told the audience that Through his Love Hope Strength Foundation, which has bone marrow screening drives at concerts throughout the US and UK, he takes his band, other musicians, and fellow cancer survivors and their supporters on this trek, and perform a concert at a certain place within the canyon. Peters shared that one man who had planned to attend this trek, unfortunately, passed away. Mike said that members of this man’s family went on the trek for him and brought his ashes to be spread in a dried up river bed. Mike sang “Walk Forever By My Side” then, and upon his wife’s excellent suggestion sang it for us. He stated that the symbolism of a dried up river bed was that it shows us that something was here, and won’t go away even if the water no longer flows there. Similar to those we have lost from cancer, they may be gone, but their memory will forever be here. It was a touching, and special moment, and I saw some tears being shed in the audience. And believe it or not a few lighters. 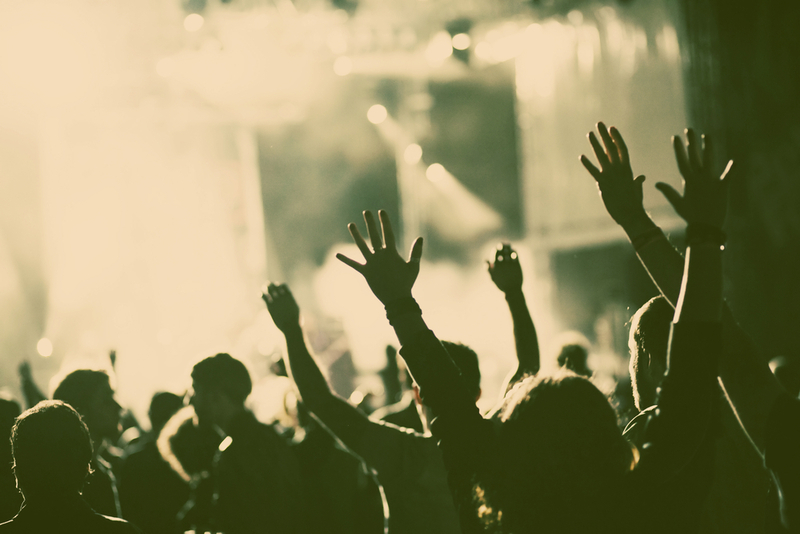 When’s the last time you saw a lighter at a concert? As cool as the cell phone flashlights look across a venue, the classic lighter look is pretty great. Mike told us that at every show he has an auction to raise funds for cancer research. He signs a guitar, and whoever has the winning bid gets to perform a song with him using their new guitar signed by Mike Peters. The winner was a man named Stew Reid. He walked on stage and perhaps looked a little nervous. But with Mike’s encouragement, and the crowd cheering him on they went into an acoustic version of “Love, Hop, and Strength”. I thought the song went great! I’m not sure if Stew’s nerves went away, but I thought he did a great job. I was able to meet him briefly following the performance, and he seemed to be pretty excited about the experience. Who wouldn’t be?! 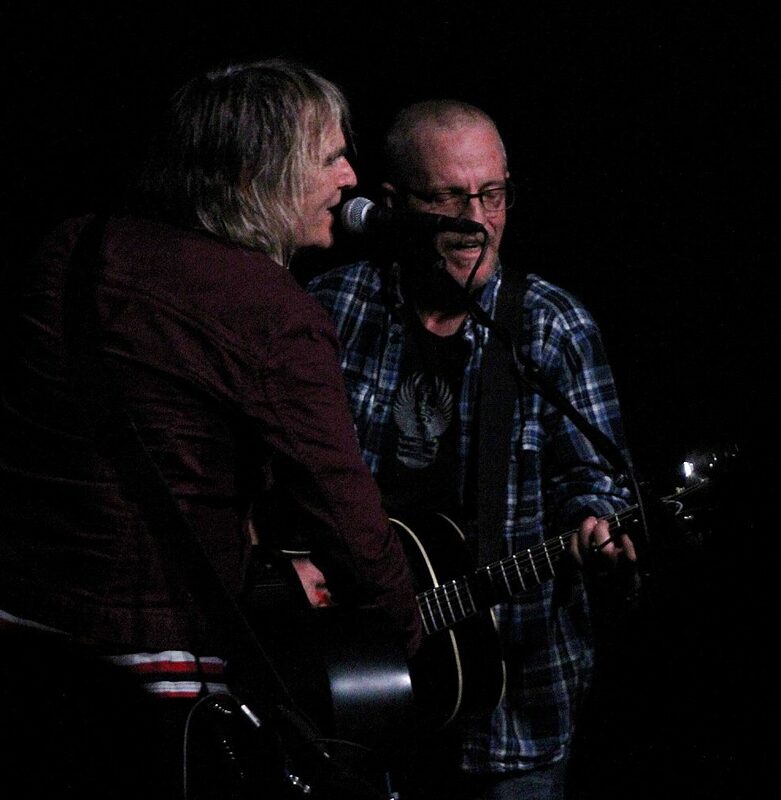 When the song was over Peters said, “Ladies and Gentlemen, Stew Reid of The Alarm!”. The main set ended with another classic “Blaze of Glory”. I have to give it to this crowd, they were all in from the get go. They sang along, they clapped along, and they danced along. Their energy matched Mike’s the entire night. And when the band left the stage, no one left. Most people stay because they know there’s an encore, but some people, for reasons I’ll never fully understand, leave before the entire show is over. But not this time. I was towards the back of the venue and I didn’t see anyone walk out. How could you leave when songs like “Marching On” and of course “68 Guns” were yet to be played. I didn’t think it was possible for the energy to be raised to another level at this show, but it absolutely was during the encore. And how can anyone sit still during “68 Guns”? People were singing at top voice the entire song. Then everything dropped out and the song slowed down and well, became even more powerful. Our voices were still ringing in the room. The Alarm the left the stage, and the lights came up. That’s the moment where it’s so easy to tell how people truly felt about the show. When those lights came up, all I could see were smiles. People had the hugest smiles on their faces and they just looked at each other with the type of joy that only a concert like this can bring. 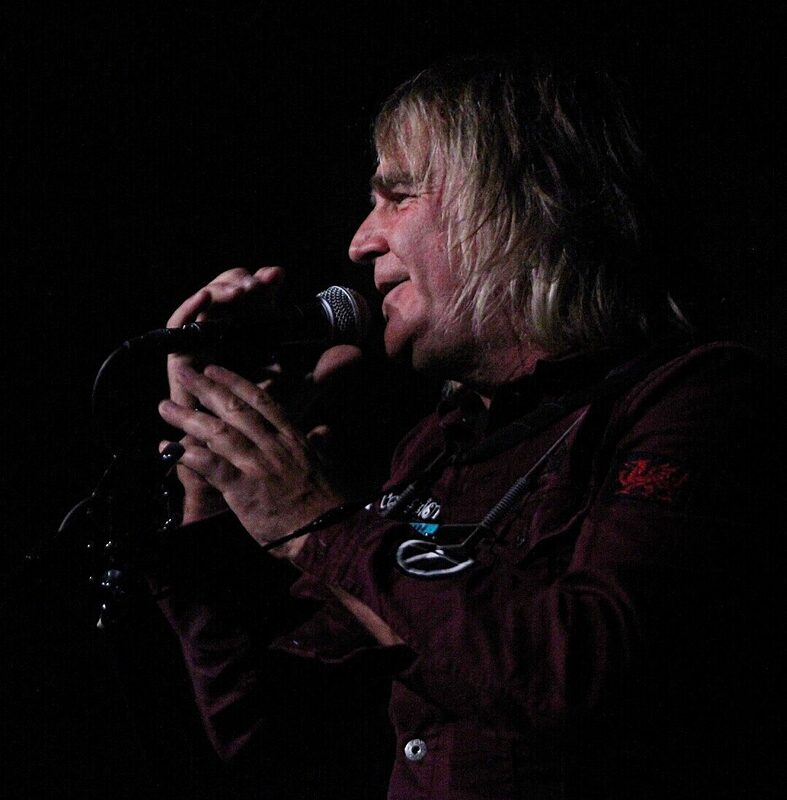 Mike Peters is a passionate man. It’s clear that he has a passion for his life. He has a passion for his causes. He has a passion for his music. He has a passion for his wife and family. He has a passion for his fans. And he has a passion for the moment. He seems to appreciate how fortunate he is to do what he does. And that he can still do it after all of his life’s trials. He’s an inspiring man, and The Alarm brought us an inspiring evening of music at The Commonwealth Room. You captured the concert in writing perfectly. I’ve seen Mike perform many times, this concert he was the most energetic I’ve ever seen him play. He definitely proved The Alarm is still a force in music. 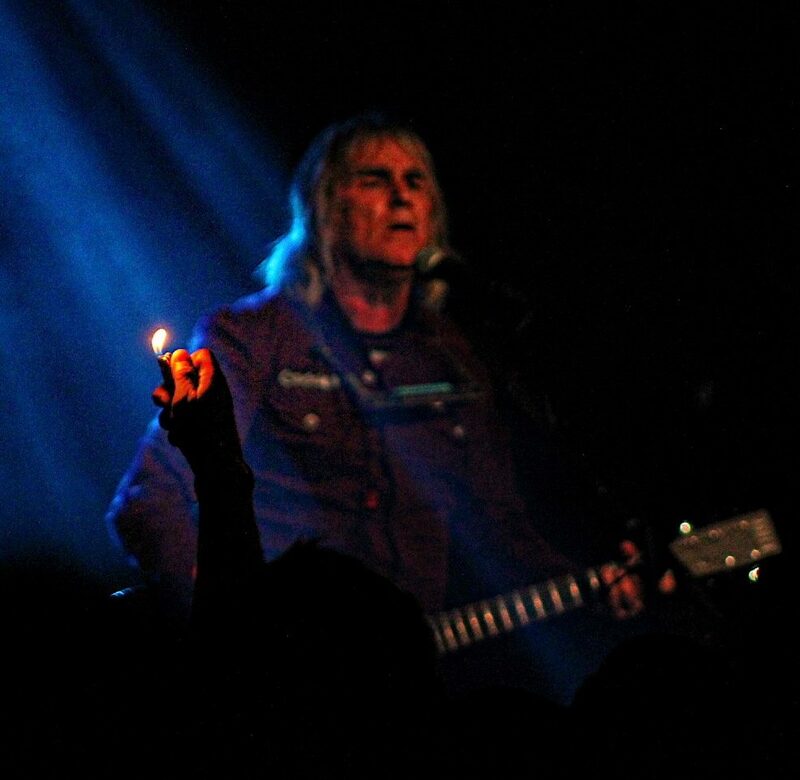 Can’t wait until the next time The Alarm plays in Salt Lake. Btw, thanks again for the awesome pictures. Thank you for the kind words! And you’re right, The Alarm is absolutely in full force! Happy we were able to capture your amazing moment with Mike! Well done on the performance!